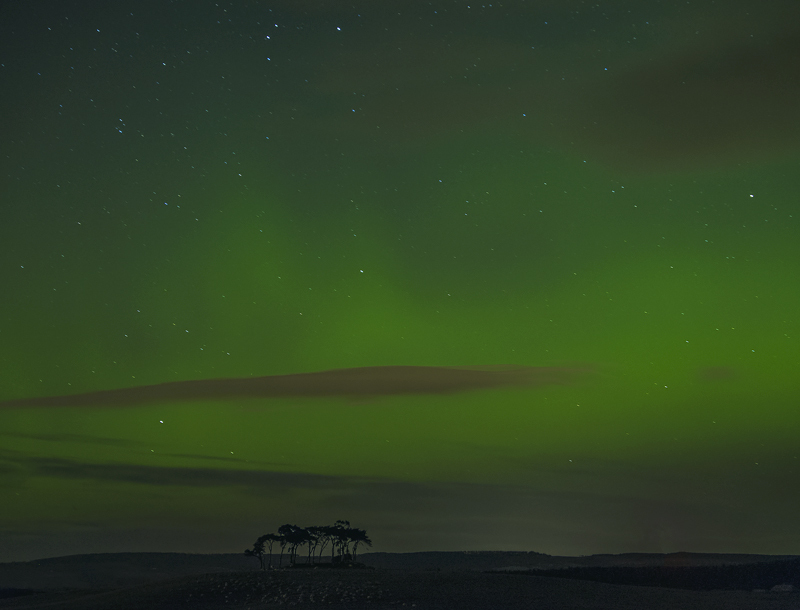 At 11.20pm on the same winter evening as the coastal auroras there was supposed to be a second surge in solar activity and hence an even more vivid aurora display. In event it was comparatively mediocre but this is a pre-planned shot I have had in mind for a while centred around this group of trees, so I persevered, the results are pleasing but I look forward to another opportunity to catch something more dramatic. Auroras need a strong ground feature to make the best of them and these trees are quite nice in silhouette.